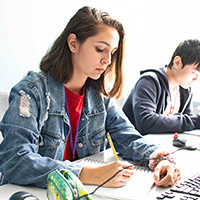 Through partner locations, DigiPen offers a variety of classes at learning institutions around Washington State and beyond. 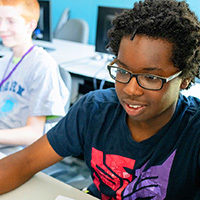 These off-site programs are perfect for students who can’t make it to DigiPen’s Redmond campus or who want to pursue lengthier technology programs at a school near them. Available Off-Site Programs vary by location. 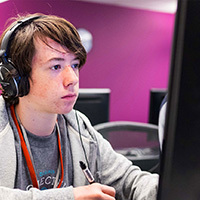 Course subjects covered include Animation, Robotics and Video Game Programming, offered in a variety of course lengths and formats. Contact the partner location nearest to you for more information. Students must be in middle or high school in order to attend an Off-Site Program. Contact individual partner locations for details. Each partner location offers DigiPen off-site programs on different dates and at different times of the year. Check with the institution you’re interested in for more information. Rates vary by partner location. For the most up-to-date tuition info, contact the partner location of your choice. Bring us to your classroom! DigiPen can offer a variety of programs to fit your needs. Whether you want to learn to teach our programs, are looking to bring us in to teach your class a concept, or want to offer an elementary after-school program, we are always excited to bring knowledge to new students. Contact us today!